I was horrified when I began watching Season 3 of DTA and found it to be… well… romantically boring. 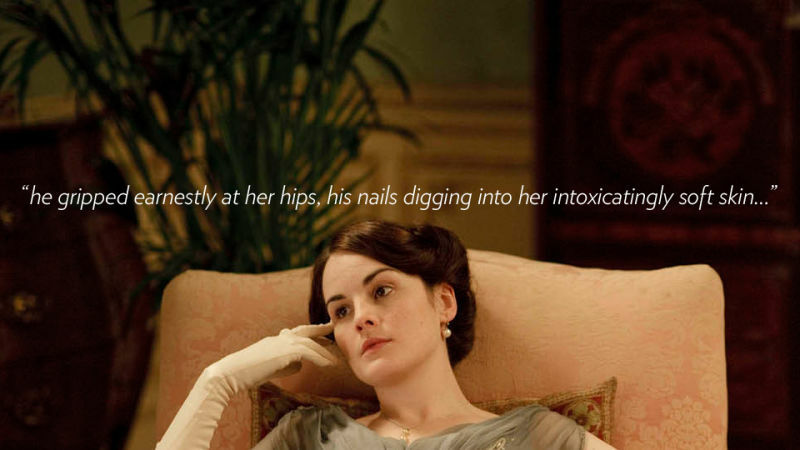 Thus, I compiled this overview of some of the hottest Downton Abbey fanfic out there which dares to go hot and heavy with the folks both upstairs AND downstairs at the Abbey. And then it was published on one of my favourite lady blogs and my heart exploded and then instantly repaired itself and then exploded again. 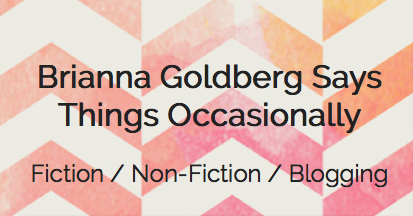 An eight-week-long guest blog bringing together today’s lady-driven Top 40 hits with great blasts from the female literary canon. 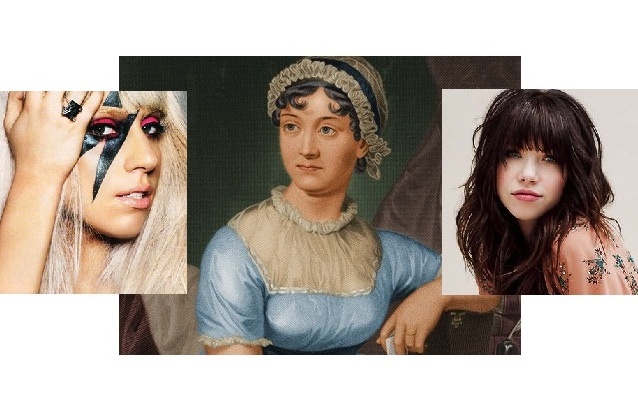 Finally, a place to discuss similarities between Carly Rae Jepsen and Jane Austen! A celebration of the man behind the music of Full House, Family Matters and more! “The CBC’s Culture of Abuse Runs Deeper Than Jian Ghomeshi”: A cri-de-coeur on the implications of a workforce of disposable producers. Last time I checked, an amazing 1k FB likes… fortunately/unfortunately. “I Thought I Could Escape to a Tropical Island. 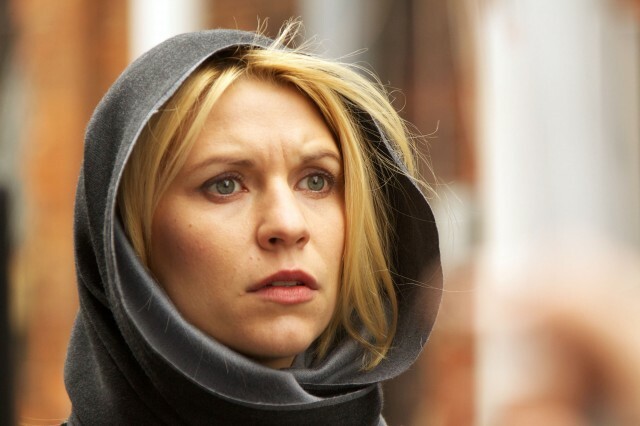 I Was Wrong”: In which I describe the price of being a happily unmarried globetrotting lady. “Why Women Are Always Hungry (And Not Just For Food)”: My EAT IT co-editor and I got some sweet front-page play on the Huffington Post with this opinion piece about our book. I’m really interested in what Toronto’s Tryst Books is doing — it’s a romance publisher that likes to push boundaries, ask questions, and really create a conversation about women in society through thoughtful blogs (and some fun straight-up lusty lit). I’ve started writing for their blog because its mission overlaps with a lot of stuff I care about and think about, too. My first post is about the legacy of Barbara Cartland, author of 723 romance novels and the world’s all-time best-selling author behind only SHAKESPEARE and Agatha Christie. Whut! A blog collaboration I created, contributed to and curated, which ran through the month of March 2011. The project celebrated the life and works of Virginia Woolf on the 70th anniversary of her death. ”Hearts Asunder,” as the site was called, was written about by teacher and journalist Paula Maggio on the creme de la creme of VW blogs– “Blogging Woolf“– and was discussed on the official VW Listserv. Some sassy lady writing/multimedia slideshows on a sassy lady blog based in the United States of America! Posts on how creative Skype dating techniques can be employed in a long distance relationship, a slideshow of Things That Are Definitely Not Going To Make You Feel Better From That Minor Sickness… and a Few That Might (including Bea Arthur), and a narrative account of how I Pretty Much Had Brunch With Claire Danes. Blogged overviews and reviews of key events at the 2012 International Festival of Authors in Toronto, including roundtables on the challenges of bringing fictional settings to life and the artistic physics of time. Between the Lines helps socially awkward literary-types find their voice with quirky, fun – and useful – conversation starters perfect for sparking less-awkward chats at publishing events, cocktail parties, coffee shops and more. The Tumblr crowd-sources bookish chatting tips, the best of which will be packaged into hand-made kits – with proceeds going to PEN Canada. A personal travel blog reflecting on life in the Caribbean, journalism, and creativity in general. Some of my favourite posts have been on the topics of surfing, producing radio in my bedroom, and housing-induced existential anxiety. Features and reviews of great cover songs and albums on a music blog I sometimes write for. Some favourites include my Freddie Mercury tribute, a review of the latest and final Etta James album (which includes a cover of Guns N’ Roses’ “Welcome to the Jungle,”) and a roundup of the five best covers of Moves Like Jagger (so far).